Overall Morningstar Rating for BlackRock Managed Index Portfolios - Defensive as of 31-Mar-2019 rated against 1,449.00 EUR Cautious Allocation - Global Funds. The Fund aims to provide a return on your investment through a combination of capital growth and income commensurate with a defensive level of risk. The Fund will seek to achieve its investment objective by obtaining indirect exposure to equity securities (e.g. shares), equity-related (ER) securities, fixed income (FI) securities (such as bonds) and FI-related securities, alternative assets (such as property and commodities), cash and deposits. FI securities include money market instruments (MMIs) (i.e. debt securities with short term maturities). ER securities and FI-related securities include financial derivative instruments (FDIs) (i.e. investments the prices of which are based on one or more underlying assets). Overall BlackRock Managed Index Portfolios - Defensive received a Morningstar Rating of 3 stars for the 3-year period, - stars for the 5-year period and - stars for the 10-year period, rated against 1449, 1039 and 581 EUR Cautious Allocation - Global Funds, respectively. Performance results represent past performance and are no guarantee of future results.&lt;br /&gt;&lt;br /&gt;For each U.S.-domiciled fund with at least a 3-year history, Morningstar calculates a Morningstar RatingTM based on a Morningstar Risk-Adjusted Return measure that accounts for variation in a fund&#39;s monthly performance (including the effects of sales charges, loads and redemption fees), placing more emphasis on downward variations and rewarding consistent performance. The top 10% of funds in each category receive five stars, the next 22.5% receive four stars, the next 35% receive three stars, the next 22.5% receive two stars and the bottom 10% receive one star. (Each share class is counted as a fraction of one fund within this scale and rated separately, which may cause slight variations in the distribution percentages.) The Overall Morningstar Rating for a fund is derived from a weighted-average of the performance figures associated with its 3-, 5- and 10-year (if applicable) Morningstar Rating metrics.&lt;br /&gt;&lt;br /&gt;Morningstar Ratings are for the share classes cited only; other classes may have different ratings. 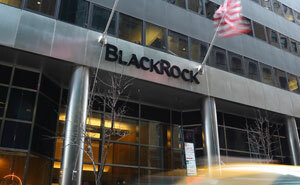 Overall Morningstar Rating for BlackRock Managed Index Portfolios - Defensive, Class A2, as of 31-Mar-2019 rated against 1449 EUR Cautious Allocation - Global Funds.